Christy Kinard Painting for Sale! 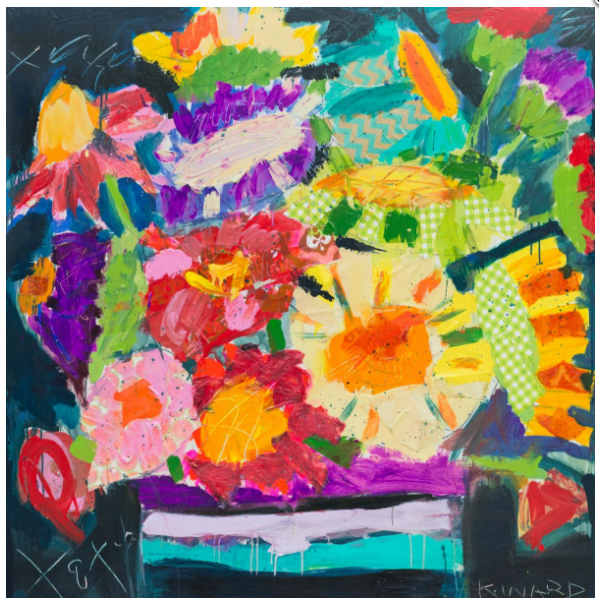 This beautiful mixed media painting by Christy Kinard is available. I bought it to use in the Atlanta Home and Lifestyle Magazine Southeastern Showhouse this year and it is now available for sale. The painting measures 48" x 48" and is more beautiful in person than in this photo. Interested parties please contact Lisa at (704) 964-3880 for pricing or email Lisa@lisamende.com Christy's work is so well known, I'm sure it won't last long so if interested contact me soon! This painting would make a great Christmas gift. 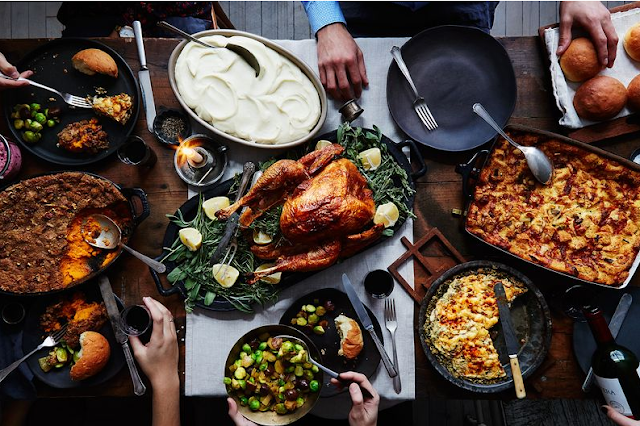 How to Make Thanksgiving More Festive! Turkey Day is almost upon us! Are you ready? I always love spending Thanksgiving at our cabin with family. I like to get up on Thanksgiving morning and watch the Macy's Thanksgiving Day parade while I cook. It is a relaxing time for me and marks the kickoff of the holiday season. 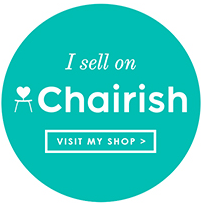 I'm not much for Black Friday shopping in malls but love it from the comfort of a big cozy chair but there are always amazing deals, so stay tuned for some I will share. In the meanwhile, here are some items I think would make Thanksgiving more festive! 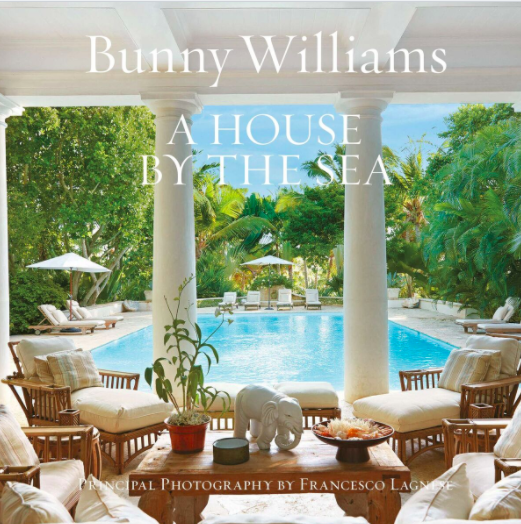 Bunny Williams " A House By The Sea" Review & Giveaway! Mondays are when I typically post reviews on books, but I must admit that I got lost among the pages of Bunny Williams "A House By The Sea" and just finished reading it. I have been a long time admirer of Bunny's work, and I am a self-professed lover of the sea, so the combination of those two elements held me captive for much longer than I had planned. John Rosselli built their home, named La Colina in the in the Dominican Republic. La Colina is a colonial villa along the Carribean sea, tucked away in lush tropical gardens. Bunny and John chose architect Ernesto Buch, a Cuban-born classicist who works between New Haven Connecticut and the Dominican Republic, to partner with them on this southern style raised cottage which borrows design details such as the roofline of the main house from Drayton Hall in Charleston, and oversized windows from Thomas Jefferson's Monticello. Ernesto also designed Oscar de la Renta's home in the Punta Cana. Described by Gil Schafer III as a modern day Palladio, Ernesto was the perfect partner with Bunny and John on this house. This morning on instagram I discovered a new Polish designer, Johanna Majewska. Her work is so beautiful I got lost in her feed. As I looked at her designs I discovered the art was so moody and exciting so I sought after the artist. 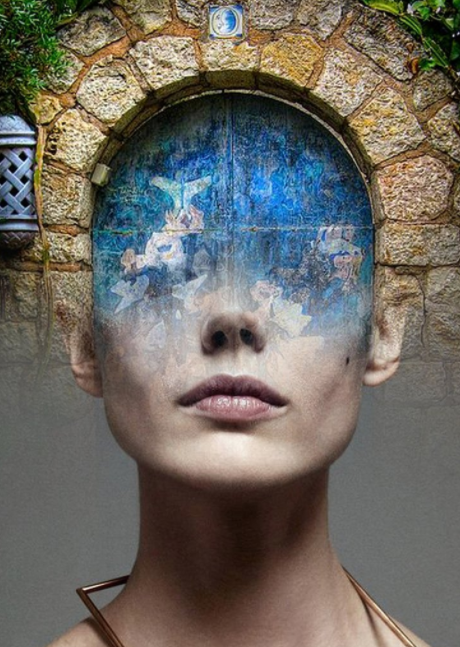 The art is the work of Antonio Mora. 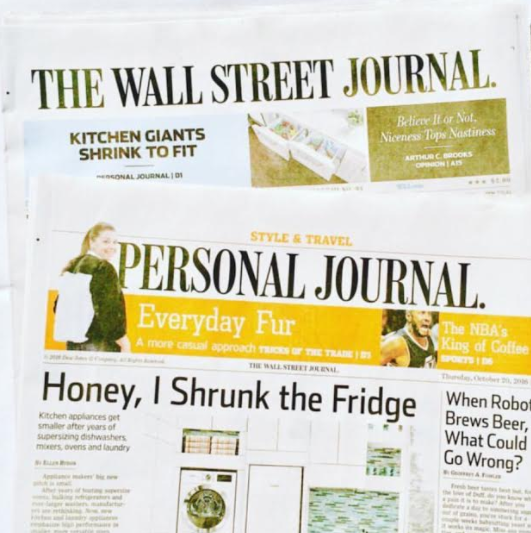 Lisa Mende Design in The Wall Street Journal "Honey I Shrunk the Fridge"
Recently, Ellen Byron, a reporter with the Wall Street Journal, interviewed me about the evolution of appliances. I don't know if you are aware, but high-performance appliances in smaller sizes with versatility is the latest trend in appliances. Consumers who want quality, high-end appliances in smaller sizes can finally get their wish. Smaller appliances have long been a trend in Europe. Americans are realizing the benefit of the smaller appliances. 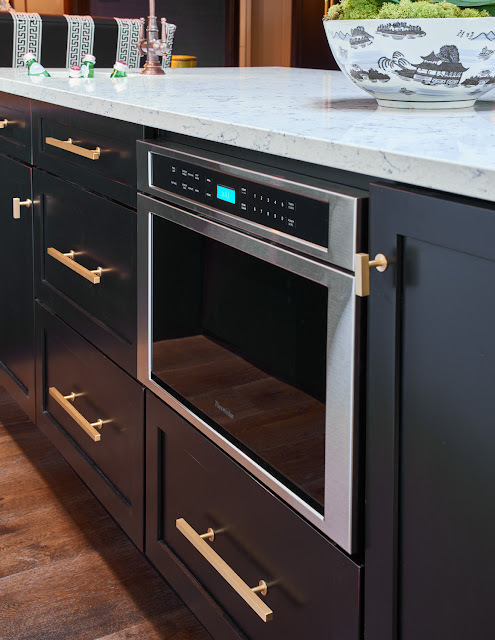 Companies attuned to consumer needs like Thermador Home Appliances have recently unveiled appliances such as a 30" professional range, a compact steam oven, and a variety of appliances that offer options for smaller kitchens like wine columns, refrigerator/freezer columns, and refrigerator drawers. What need do these newly sized appliances offer the consumer, you may ask? The trend to downsize appliances is being driven by two major shifts studied in U.S. households: 1) More people are downsizing to smaller dwellings, and more consumers want appliances in auxiliary rooms in their homes beyond the kitchen such as the media room, master bedroom or guest quarters. When bought for spaces such as the master closet, mother-in-law suite or other areas, consumers don't need the full-size appliance in several locations in the home, so the smaller appliance fits the need without taking up so much space. Smaller appliances offer the same quality functions as their larger counterparts and are perfect for apartments, condos, smaller homes or auxiliary spaces in larger homes. 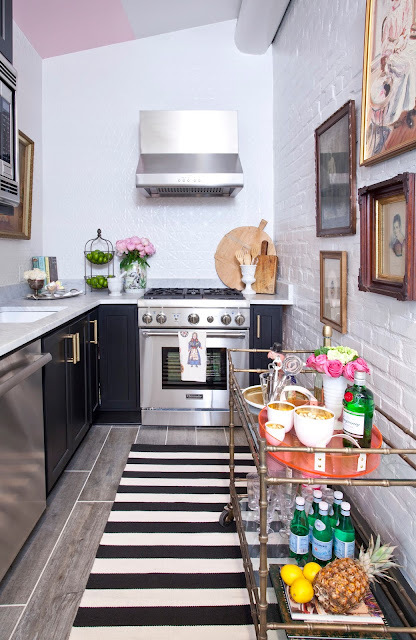 In Metropolitan cities where square footage is at a premium, city dwellers often have tiny kitchens but often still want to be able to prepare chef quality meals. The advent of the smaller appliance with multiple options allows the person with the small kitchen the same cooking, prepping and storage options as those in larger homes. Studies show this trend isn't just in New York city but in towns across the country like Austin, Seattle, San Francisco, Toronto and Vancouver. "Thermador prefers the term “compact” over “small,” says Beatriz Sandoval, the company’s director of brand marketing. “They’re looking for big impact in a compact space,” she says." In this guest cottage I designed along with Shaun Smith Home in New Orleans, we placed the 30" Thermador range. 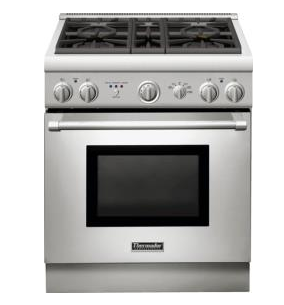 The Thermador 30" Pro Harmony Range gives you the same great cooking options with the Star burners with QuickClean Base and allows easy access under the burner for effortless cleaning. Available in all gas, dual fuel and available in 24 standard depth. The first item of business when choosing appliances is to decide how you function. Perhaps you are not a cook, but would like to reheat take out leftovers. The microwave door from Thermador Appliances is a great out of the way items when tucked into cabinetry as shown here. Thermador fully flush microwave drawer offers open and close touch option, 1.2 cubic feet cavity and will accommodate a 13"x9" pan. 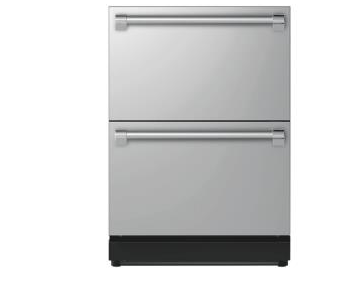 Thermador fully flush double drawer refrigeration models integrate seamlessly into 24" depth cabinetry and feature exclusive SoftClose hinges and slides. Choose from Professional or Masterpiece stainless steel options or design a custom panel. In addition to larger appliances in kitchens for added storage or in guest suites, pool houses or master suites where added refrigeration is desired without full-size appliances. Thermador under the counter wine reserve integrate seamlessly into 24" depth cabinetry and feature exclusive SoftClose hinges and slides. Sleek touch controls keep a variety of food and beverages at the ideal temperature for serving and storing. 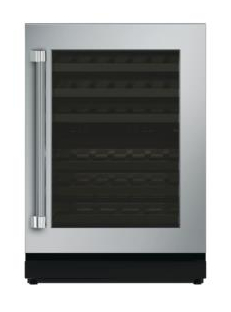 One of my favorite space saving products is the 18" Wine Column which can be tucked away yet stores 56 bottles of wine. 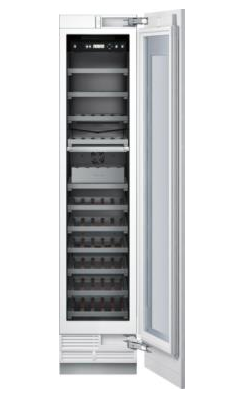 The wine column has dual independent temperature and humidity controls which allow you to adjust each zone separately and guard every bottle against moisture, truly amazingfrost, and light. Steam ovens have been used in Europe for years. Americans are just now being introduced to the value of the Steam Oven. 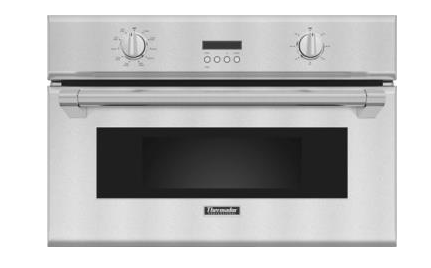 Thermador offers a steam and convection oven combo. This oven helps your food retain more of its essential vitamins and nutrients. You can cook a turkey from frozen to ready to serve in 90 minutesamazingThis is a oven which will defrost, steam, proof, bake, slow cook and reheat! Thermador Home makes life so easy! Make sure to visit Thermador Home website to see these products and learn more about them or visit your local Thermador dealer to see them in person! 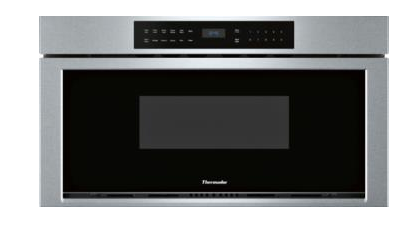 In Charlotte, Thermador Home Appliances can be seen at Ferguson at 5025 Sunset Road. Just ask for Dennis the appliance specialist! Do you live in a small apartment or have you used smaller chef quality appliances? What are you must have's and favorites? Please share! Disclaimer: Lisa Mende Design is on The Thermador Design Council. All opinions are my own and I only write about products I specified for clients, use myself and believe in, or think will be of interest to my readers.